Sometimes tea can help you relax and enjoy life. 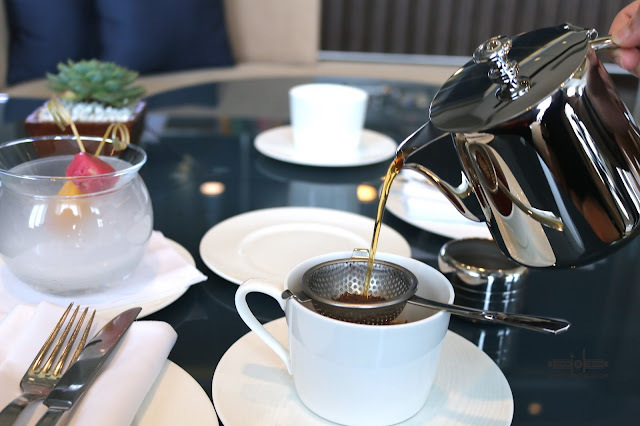 At MARCO POLO ORTIGAS, they made afternoon tea into something more than just drinks. 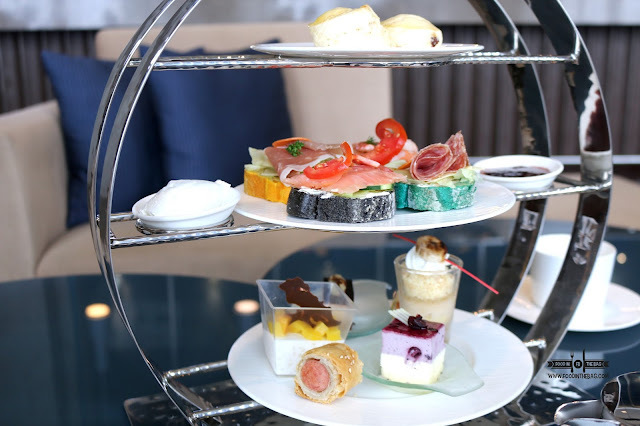 The Connect Lounge in Marco Polo Ortigas now offers afternoon tea daily at 2pm-6pm. 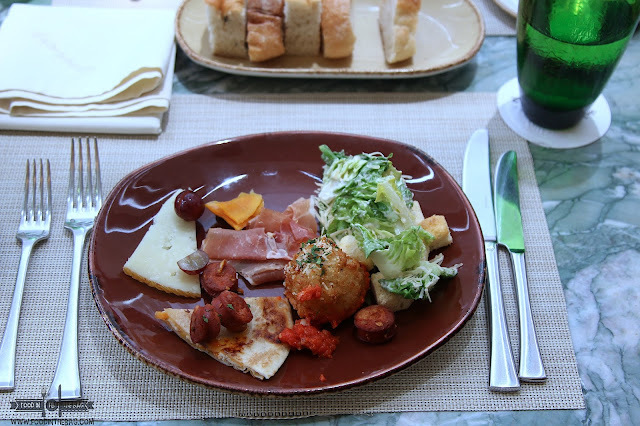 Guests are welcomed with delicious food choices and drinks as well. 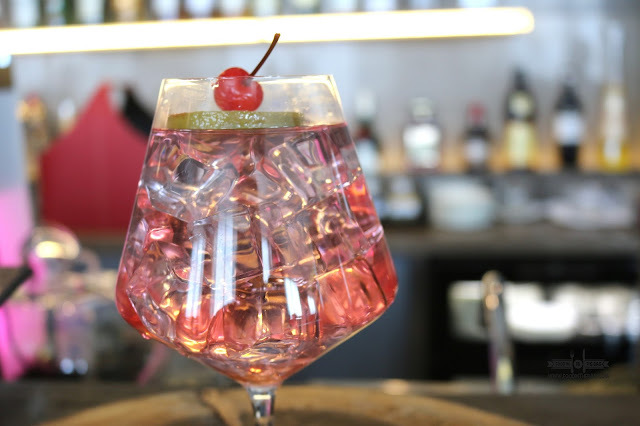 One could choose different tea flavors or upgrade their drinks to cocktails and even some sparkling drinks as well. 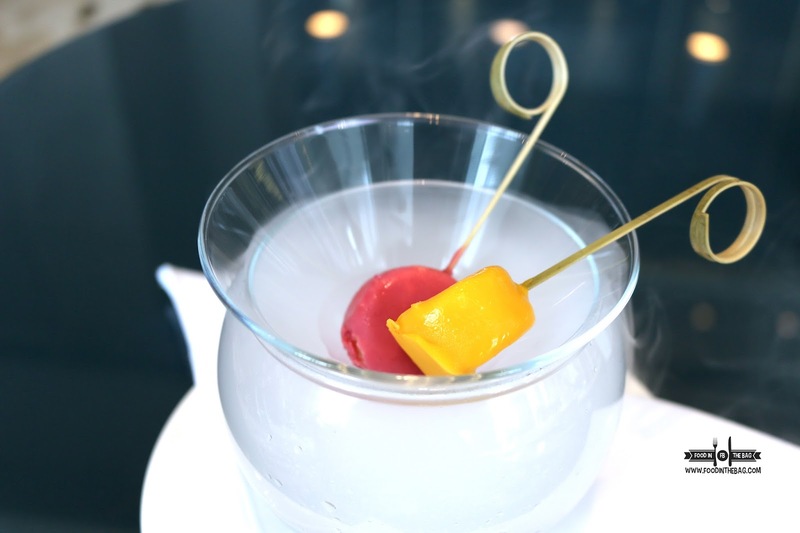 Starting off with some AMUSE BOUCHE, sherbet of the day would be presented in a glass bowl with some dry ice effect. Not too sweet, you are given a jolt when you bite into one. 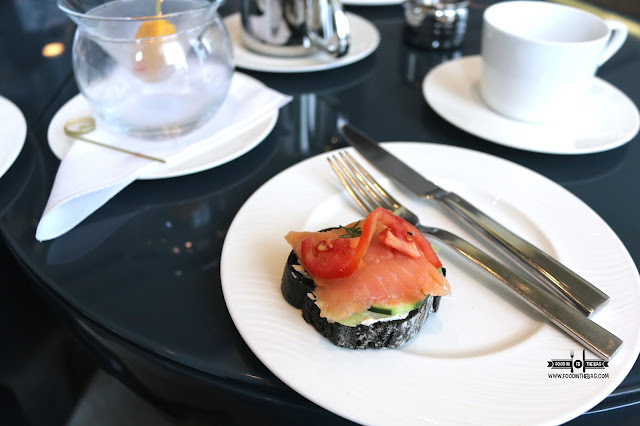 At Marco Polo, you are given choices as to what kind of baguettes and toppings would be created for your afternoon tea set. 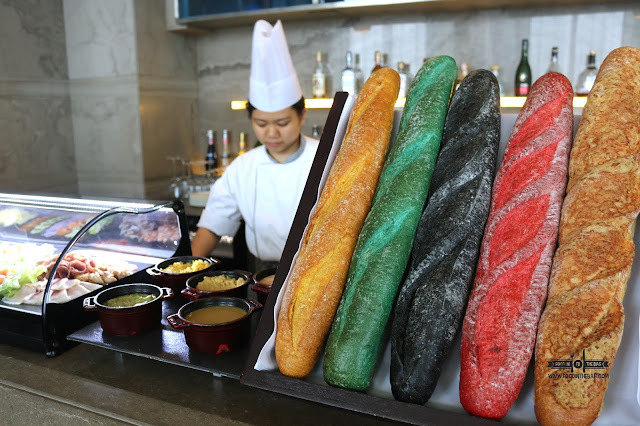 It could be parsely, corn, squid ink, tomato and regular flavored bread alongside ham, shrimp, chicken and other things that you may think off. 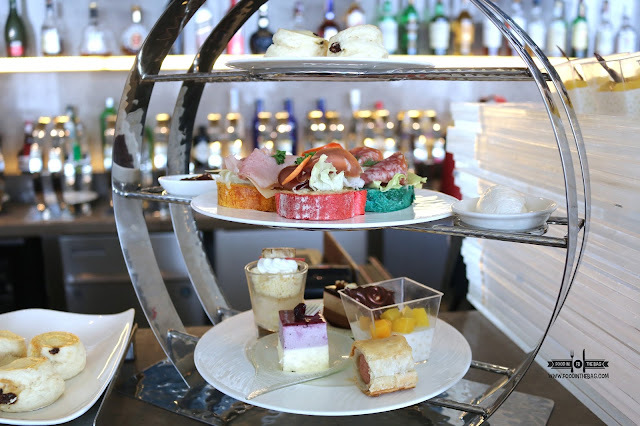 After choosing, patrons are able to indulge into a three layered tea set. Scones are provided with whipped cream and jam. Personal favorite would be the ham and the shrimps baguettes. For more variety, you could ask the chef to create different versions for you. Pastries and other sweet delights are also present and could be replaced with sugar free items from their menu as well. Furthermore, a creamy and decadent chocolate fondant surprises you at the end of the meal. 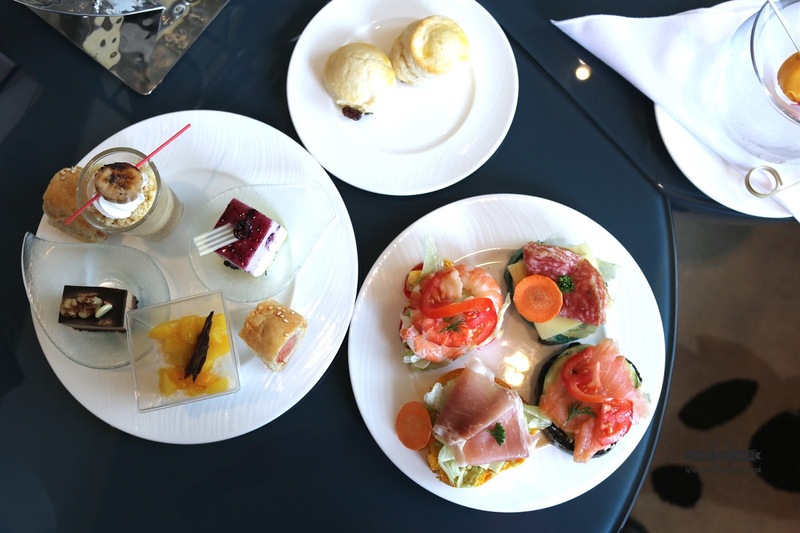 The AFTERNOON TEA at MARCO POLO is good for two persons. It is available daily at 2pm-6pm at Php788.